A couple of months ago we attended a community preparedness fair. There were displays on things like making meals from food storage and utilizing solar ovens if electricity is out for an extended period of time. It was also a pot luck dinner, and it was amazing how delicious a food storage dish could be:). 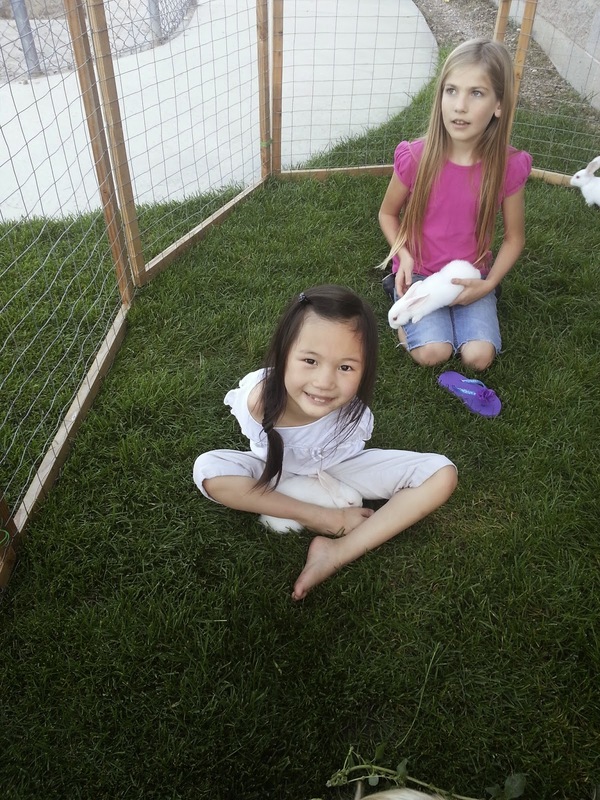 One booth had some cute bunny rabbits in a pen that the kids could pet. 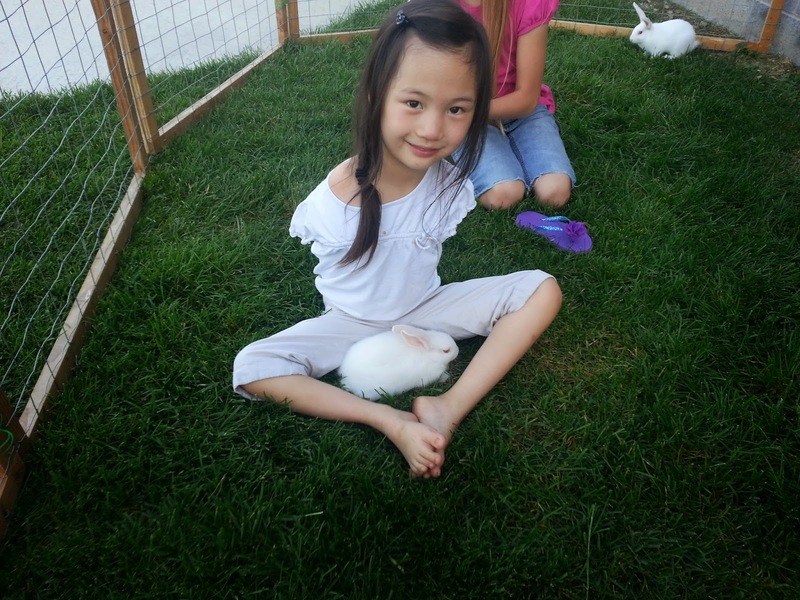 Sophi and Jessica fell in love! The booth made the curious decision to have a large computer screen right next to the cute little bunnies which had a looping slide show with step-by-step images of how to prepare them for a meal. Fortunately I realized what was showing soon enough to divert Sophi's attention, but it was quite traumatizing for our sweet Jess. Ah, life! 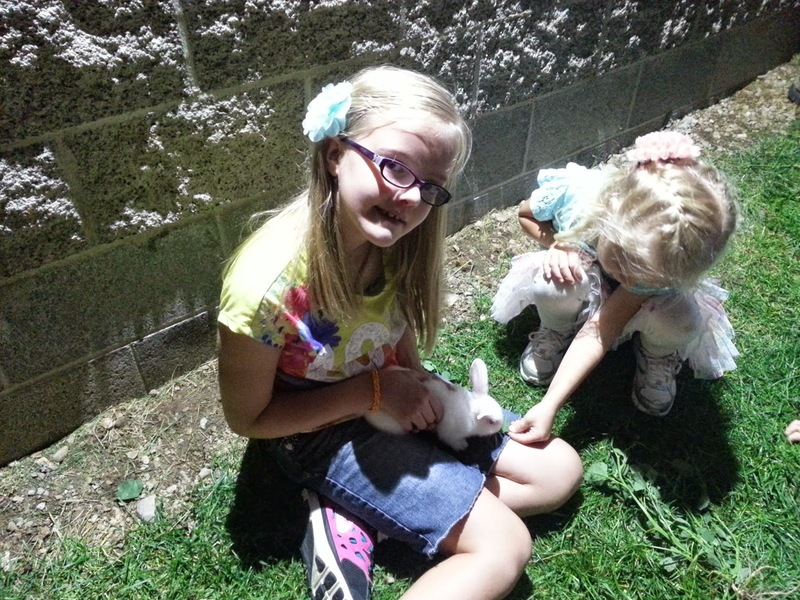 They sure enjoyed the live bunnies, however!